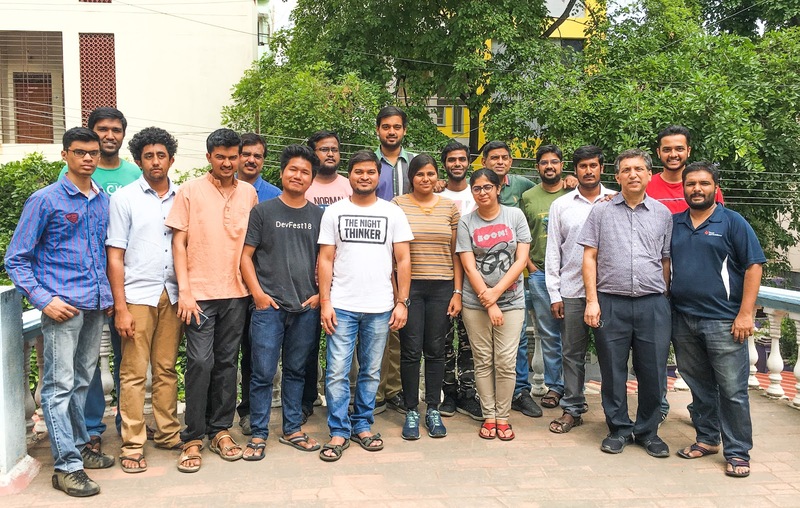 Since its inception in 2016, Bengaluru-based Gnani.ai, and artificial intelligence and NLP-powered voice assistant and speech analytics startup has grown steadily. According to Ananth, the main motivation behind setting up the startup was to bridge the gap between technology and its adoption among people and figured that through voice-based technology, people’s interaction with technology can be made simple and straightforward. “We saw that technology penetration was growing rapidly in India but the adoption of technology was still low. We believe that the main reason for this was the way people interact with their devices. Interacting with devices need to be simple and straightforward to enable a person to use it. We feel that the most natural form of interaction is through voice, so we explored ways to bring voice interaction with devices to the consumers and that was how the idea of building voice-based solutions for businesses took shape,” Ananth explains. This led Ananth and Ganesh to look into AI for building speech recognition and NLP system which ensured robustness and high-level of accuracy, “We started in 2016 and worked for a long time to build our Speech Recognition and NLP engines. Once we had built a robust engine with high levels of accuracy, we started leveraging it to solve problems for other businesses using our technology. Unlike most startups in this space, we built our own engines without the use of any third party APIs. This has been a major differentiator for us,” Ganesh explains. Gnani’s Auto Call Answering Assistant: Is an extension of the voice assistant and helps businesses to automate calls in regional languages, with the capability of instantaneous response and can be operated 24*7. “This solution is used to transcribe and analyse every single interaction between customer service and the customer. Through this, businesses can derive significant insights into their products or services. It also leads to significantly higher customer satisfaction because the entire Quality Assurance and training process becomes automated,” Ganesh adds. In addition to these tools, the startup also provides sales analytics, where every single call can be transcribed and analysed to find out the best ways to sell to customers. “At every stage of the sale, the sales team is more prepared to handle the customer and leverage the best practices to ensure the sale goes through. Apart from this, we provide an Omni-channel feedback analysis solution that is able to derive insights from customer calls, and online messages to understand the brand perception of a company. This is in turn used to enhance the marketing efforts of the company,” Ganesh explains. The startups unique APIs that can be leveraged in from speech-text analysis, advanced speech analytics and AI backed predictive models in regional language has set them apart from the competitors and gives them the advantage of being the best in the field. Though there are several companies in the field, including the likes of Google and other international companies, Ganesh feels that their solutions in the regional languages compare favourably. According to the company, the startup’s Hindi speech to text engine is one of the finest in the country. On the question of the need for regional solutions when most businesses opt for English as the main source of communication, Ananth points out that in order to cater to the Indian market, the only way is by supporting regional languages. “We all know the diversity in languages across India and you cannot cater to the Indian market if you do not support the local languages. All our solutions are available in the above mentioned languages and businesses have been leveraging this offering,” he explains. The government of India has recognised 22 official languages of India and the startup has covered six among them. Going ahead, the team aims to reach out more regionals markets and power their NLP systems in these languages. He also points out, more institutes like that of banks and other commercial establishments are increasingly looking to offer their services in vernacular languages to better their service, “We see a lot of potential for use of this technology in banking, insurance, financial services, e-commerce, B2B SaaS companies, automation of processes in manufacturing industry and so on. We are already working with some of the largest banks, insurance, e-commerce and financial services companies. There are a lot of use cases for this technology and we are at the tip of the iceberg. Eventually we want to be able to leverage this technology to significantly enhance the way we leverage consumer data to improve products and services,” Ganesh concludes.